Birmingham has never seen anything like this before! Involving a diverse team of a hundred community actors, musicians and stewards alongside Saltmine Theatre Company, The Birmingham Passion Play 2019 is by the city, for the city. This unique contemporary retelling of the extraordinary Easter story will be performed live, processing from Birmingham Bullring, moving up along New Street to Victoria Square, and finishing at St Philip’s Cathedral. Download the route map here: from 12:30 each day at the Bullring near Waterstones, finishing around 14:00 inside St Philip’s Cathedral. Everyone is welcome: this is a free non-ticketed event! 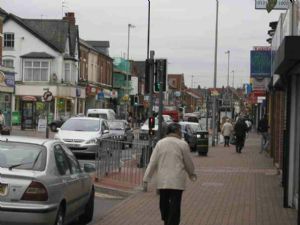 Bearwood is a bustling, vibrant area, just over the border of Birmingham and within the borough of Sandwell, part of the famous ‘Black Country’. It is a meeting point for people of diverse ethnic backgrounds, life experiences and ages with rich histories, which are reflected in our church congregation. The site is in two parts: a section of church pages about us, and wider information about Bearwood in our community pages. Please remember we are not responsible for content on other websites we link to. 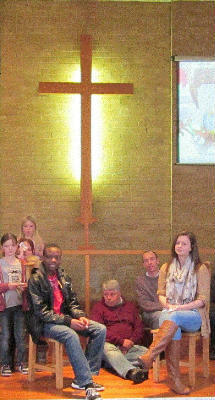 centred around the love of God revealed through Jesus. OUR DESIRE is to express this through our worship of God and our service and care, for one another and for those in the community around us. OUR INTENTION is to reflect the love and grace of God to all whom we meet. WE SEEK to follow Jesus, and encourage others to follow Him too. A joint response from local churches to tackle poverty, increase aspiration, provide opportunities & support the most vulnerable.